If you’re in the mood for an Asian-inspired meal, you can’t go wrong with this Copycat P.F. 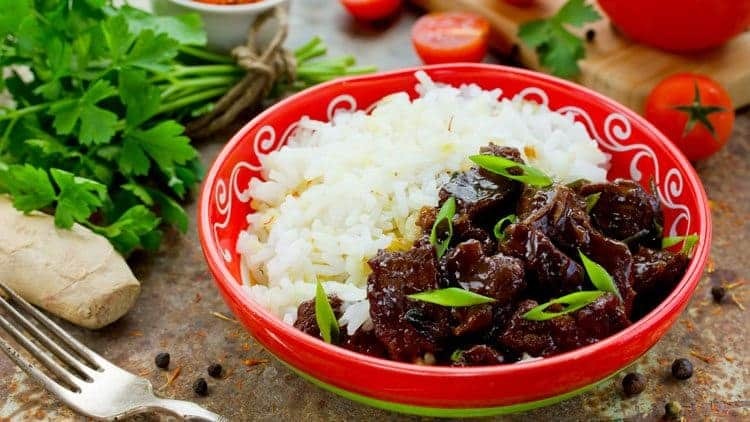 Chang’s Mongolian Beef recipe. It’s got all the flavor or the restaurant meal, served up in the comfort of your own home kitchen. We love copycat recipes around here, which is why we so frequently share them with you. They are tried, tested and ordered up over and over again in restaurants across the country. Replicating them so they can be served up in homes around the globe…well, that’s just ideal now, isn’t it? Some of our favorite copycat recipes include: Copycat Texas Roadhouse Fried Pickles, Bloomin Onion and of course Olive Garden Zuppa Toscana. Yummy white sticky rice makes this bowl of scrumptious Asian-fare even more inspiring. And each bite leaves you wanting to take another…because you want to experience the marvelous flavor all over again. Get ready for the perfect dinner. We’re pretty sure you’re going to think this Copycat P.F. 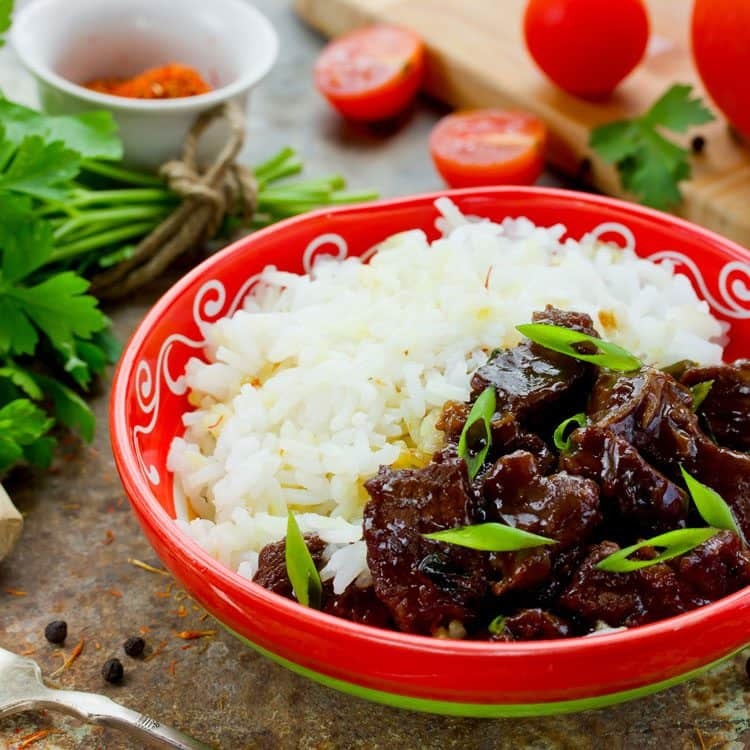 Chang’s Mongolian Beef is the perfect recipe to add to your meal plan. It is completely worth it. End your meal with one of our favorite dessert recipes and you’ve got yourself a winning meal. Another Asian inspired wonder, this recipe balances sweet and savory into the most delicious dish. It is certainly a crowd pleaser and is easy to make in large quantities for when you are entertaining. Mongolian beef is not actually Mongolian, but rather a Chinese-American dish. Serve over rice or noodles, and pair with a healthy side of delicious sautéed vegetables. 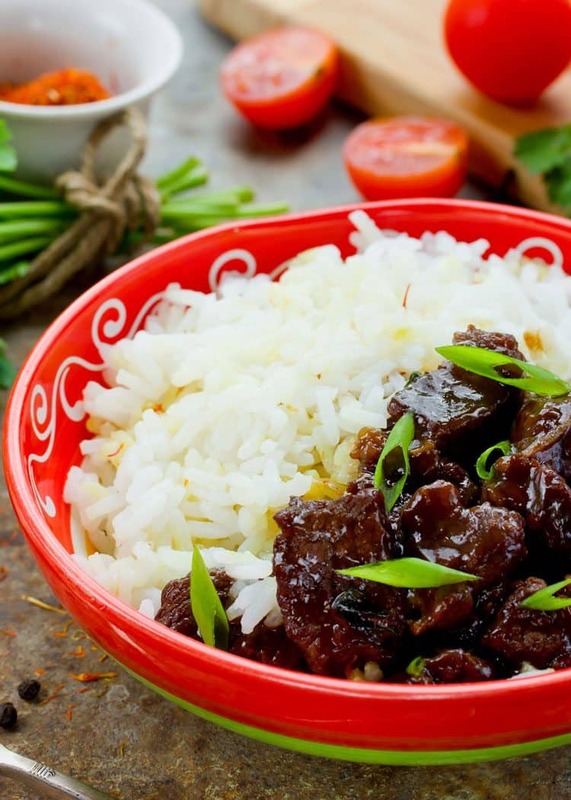 Mongolian Beef is an easy dinner recipe to serve alongside sticky rice. Make this for an quick weeknight meal. Coat beef strips in cornstarch and place on a plate. Let stand for about 5-10 minutes. Heat the sesame oil in a wok or frying pan, over medium heat, being careful not to let it get too hot. Add the garlic and ginger and saute for about 1 minute, being careful not to let it burn. Then add the soy sauce, water and brown sugar, stirring until sugar is dissolved. Remove from heat and set aside. Heat about 2 inches of oil in a wide pot over medium heat. Add the beef in one layer and fry until browned, about 2-3 minutes. Carefully remove the beef slices with a slotted spoon and let them drain on a paper towel. Put the wok or pan with the sauce back over medium heat and add the beef strips and bring to a simmer. Add the green onions, simmer for another minute or so. Serve over rice. Adapted from Six Sisters Stuff.